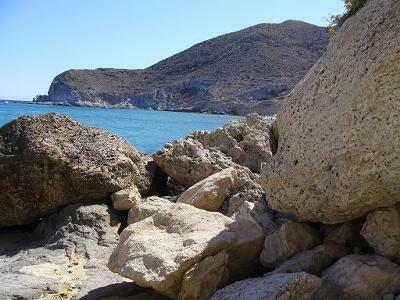 Looking for the famous "la playa de los muertos", my friends and me got lost, when, in our way to "Agua Amarga", we found by chance this wonderful place. 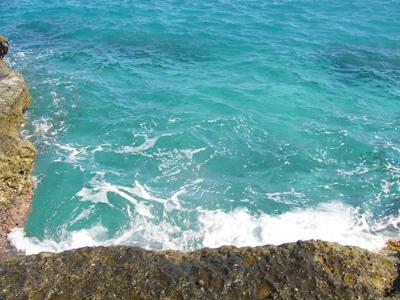 With turquoise blue water, it´s very safe for children. 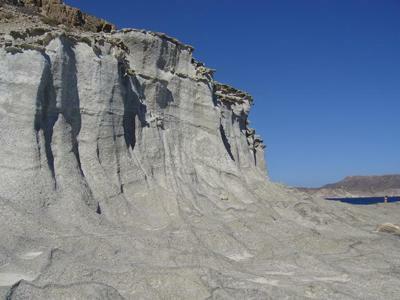 You can´t leave Almería without visiting this natural paradise! Thanks Mª Angeles! I love that Cove. I just would like to add for our readers: This cove lacks services and equipments.. such as many other hidden coves and beaches in the Natural Park of Cabo de Gata Nijar. My god I have visited Spain twice and still this place is new to me! 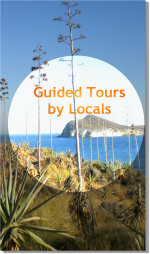 Tourist’s guides have helped me to find to lot of beautiful spots in Spain but now I feel upset that I missed this one. Join in and write your own page! It's easy to do. How? 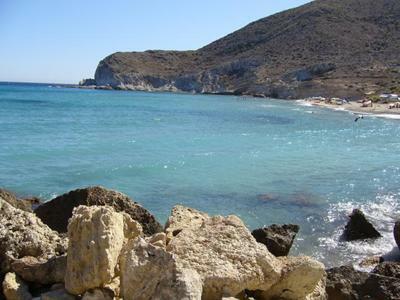 Simply click here to return to YOUR favorite Almeria Beach.